I am jealous of my daughter. I grew up on a flat plain and only saw mountains during summer vacations. Smarty sees mountains every day from her bedroom's window. Of course, they are only gentle hills of Silicon Valley, but she already had a chance to see big mountain ranges of California - Sierra range and Cascade range. 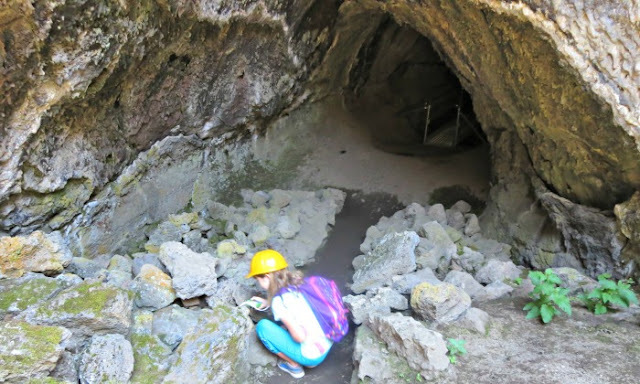 She also got to see both limestone caves and now visit lava caves of Northern California. Lava Beds National Monument has a dubious honor of being one of the least explored national parks and monuments in California. 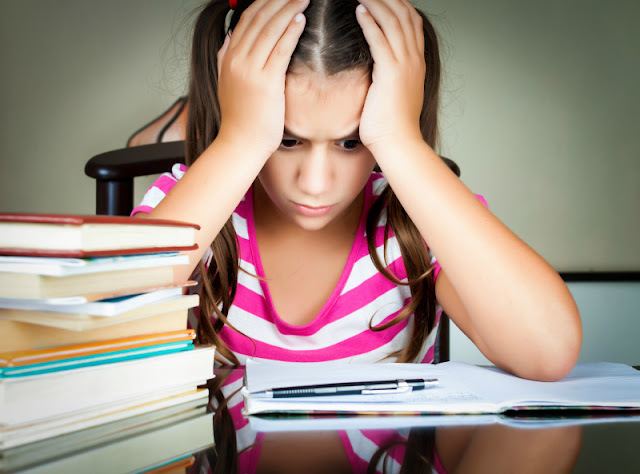 It's not surprising, since it's tucked far away in the northeastern corner of the state and not easy to get to even from the nearest reasonably sized town. It took us 3 hours of driving to get to the park from the town where we stayed, but the drive was quite scenic taking us past Mount Shasta and along Oregon border. 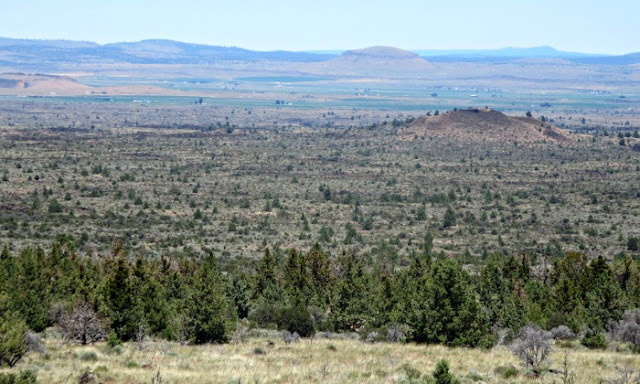 Lava Beds landscape is not really inviting, but the real beauty of the park lies underground. 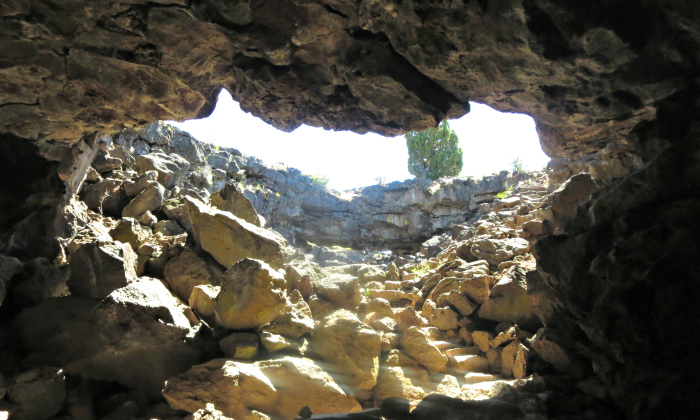 There are more than 700 known caves withing the boundaries of the park and many of them are open for visitors. All you need is a hard hat and a flashlight, and you are good to go. However, it helps to stop at the visitor center first and receive a useful map where caves are marked and rated by difficulty level. 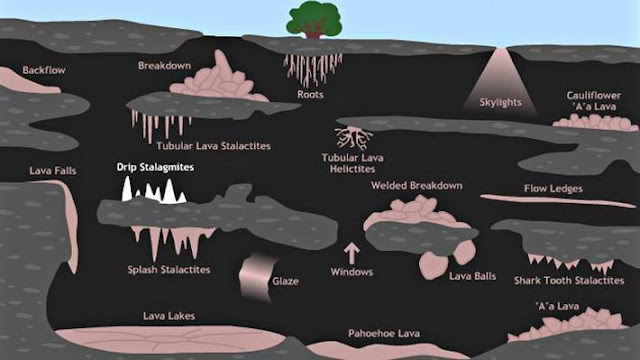 How Do Lava Caves Form? Lava Beds Visitor Center has a lot of information about lava caves, and the cave that is closest to the center is lighted and has an interpretive trail. We learned that Lava Beds caves are lava tubes. A lava tube is a natural conduit formed by flowing lava which moves beneath the hardened surface of a lava flow. Smarty was especially fascinated by different types of rock formations on the floor of lava caves - one of them is called cauliflower floor. She was not spooked by darkness and silence of the caves and tried hard to photograph things that interested her. Some of her pictures turned out OK, but, ahem, her low light photography skills leave a lot to be desired. 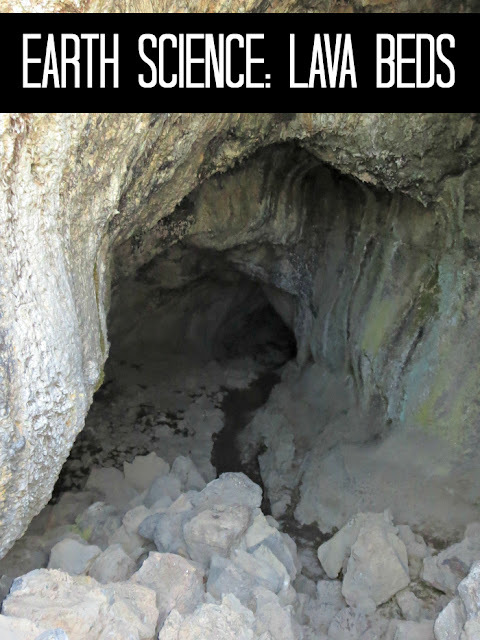 PBS Learning has a "virtual lava tube" explaining every element of a lava tube cave. Have you done any sort of science-related field trips lately? Awesome trip! 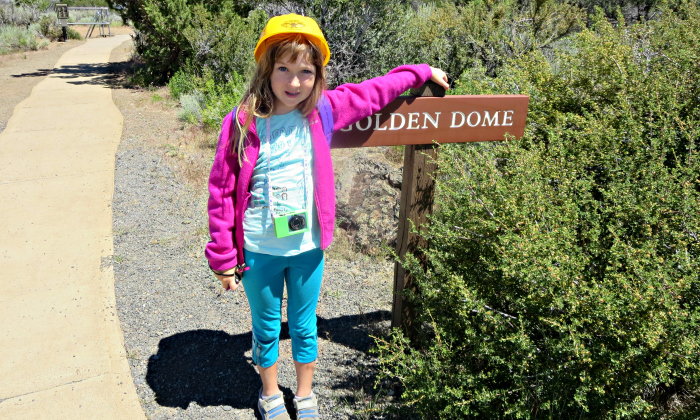 I love the resource links you added - if we make it back down to Craters of the Moon in Idaho, I'll remember your links - thanks! We've only visited limestone caves, there's lots of them here in Texas, but sadly no lava caves. That would be really cool to see.